Sarah Baumann, from the Auditory Implant Service, has won the coveted title of UK Audiologist of the Year 2015, after a heartfelt nomination from one of her patients. The competition, which is run in partnership between the hearing aid battery manufacturer, Rayovac (a division of Spectrum Brands (UK) Ltd), international hearing publication Audio Infos and the European Hearing Instrument Manufacturers Association (EHIMA), invited patients who received exceptional care to nominate their audiologist for the prestigious award – the biggest of its kind in the world. Sarah was nominated by her patient Sarah Smith, who described in her entry how her audiologist had been by her side throughout her hearing journey, as she was fitted with a cochlear implant. Sarah’s dedication to her patient’s recovery and her consistent support led the judges to announce her as the winner. Sarah Baumann said: “I was really touched to read Sarah’s kind words and memories of her initial tuning process. It has been a pleasure to work with her over the past year – she has been exceptionally motivated and determined to get the very best from her cochlear implant. All of the staff at the Auditory Implant Service work extremely hard to make sure our patients receive a high standard of care and it is wonderful to have this recognised by the AoTY award. Paula Brinson-Pyke, Marketing Director at Rayovac, said: “Sarah’s story and the countless others like it are the reason we run this competition each year. The dedication, care, patience and kindness that audiologists like her show their patients each and every day is nothing short of remarkable. 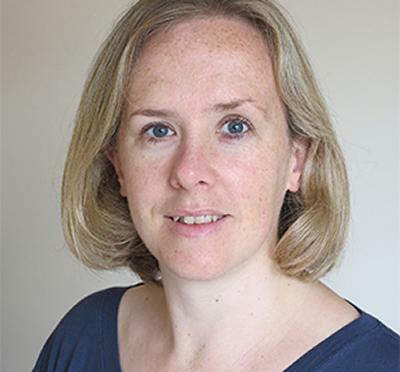 Sarah is now being put forward for the overall title of European Audiologist of the Year. The winner will receive a cash prize along with a certificate, which will be presented at the annual Evening of Excellence in Nuremberg, Germany this October. The Auditory Implant Service (formerly South of England Cochlear Implant Centre) was established in 1990 to help severely to profoundly deaf adults and children. Since the programme began, surgeons have implanted over 1000 devices. The Service currently supports over 580 adults and 300 children with a cochlear implant; over 250 are using two implants. In her nomination, Sarah said: “I felt very privileged to be referred to the strong and dedicated audiologist team in April 2014. My first appointment was in May and following a full assessment I was considered a suitable candidate and was operated on in November 2014. “I first met my audiologist on December 15th 2014 as my implant was activated. Since then she and my rehabilitationist have been a huge support over eight appointments and additional workshops. I was so pleased that she considered me as a partner rather than a passive recipient in the process of re-learning to hear. She has made the rehabilitation process an adventure rather than a daunting task. “Each audiology appointment takes an hour and a half, or sometimes even longer, as my audiologist checks my hearing, including my residual hearing in my unimplanted ear, tests how my understanding of speech is progressing, listens to my feedback on what I can and can’t hear in daily life and resets my maps accordingly. My husband has been warmly welcomed at these appointments and his feedback is used to help the increasingly fine tuning of my processor. “I was very nervous before my first tuning appointment; what, if anything, would I hear? Would I hear words by Christmas? The surgeon hadn’t been able to promise anything when I had asked. After my audiologist had checked the electrodes were working, I could hear something – thank goodness. She explained what she was doing and I could hear; it sounded like a badly tuned radio in a distant room. Two days later when I was tuned again the sounds became louder and more distinct, and although still lip reading at Christmas, I could join in a little more which was wonderful. “She made my first [audio] maps purely based on increasing volume. As I have progressed she has made them to reflect my lifestyle. “When I got my feedback wrong resulting in programmes which were too loud, she quickly arranged an extra appointment to retune. She has been on a walk with me to check on outside sounds which has been most helpful. She is always on hand via email to discuss progress. “She has supported my role as a volunteer advocate for implants and indeed has given up at least one lunchbreak to working on programming in the accessories I am trialling. She has supported me in getting Medic Alert details and holiday insurance. “Before my operation I knew that having an implant was not a magic bullet and would not restore my original hearing, my expectation was that I would be able to converse in the family, my hope was that I would use the phone again and my aspiration was that I would be able to sing once more.